Major props to these guys!! 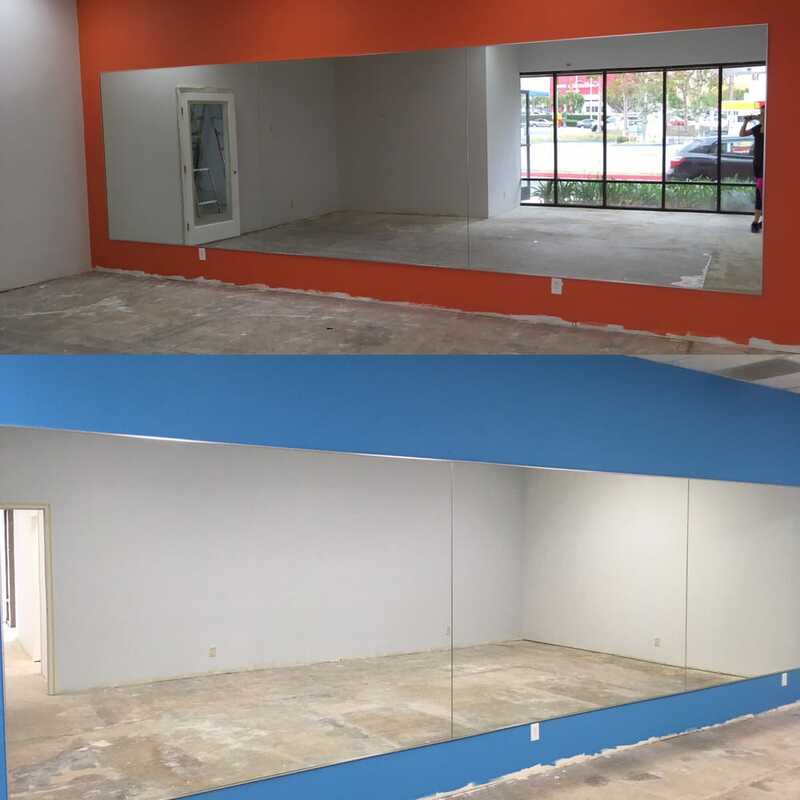 I got 4 quotes from companies to install room length mirrors for my dance studio & Ali gave me a workable quote then I expressed my budget & he was able to find me an even better price & figured out our businesses are right around the corner from each other. The guys that came were quick & efficient. I got the pleasure of working with Cesar, Ricardo & Miguel. Major props to these guys!! My shower glass looks and feels amazing, I looked all over for the best price and they had. Ari wanted to give me a quote by phone but I did not know what I wanted, they were super nice and sent a guy to come measure with samples what they could do. The installation was super fast and precise, and they left everything clean. Great service, best prices. Ace Mirror & Glass surpassed all others in everything, especially customer care. Speedy service, repaired broken glass window before I was able to write this review. Would highly recommend to everyone in need of glass replacement or repair. I have a little niece that has been doing ballet for 2 years now and she absolutely loves it . So for a birthday gift I had some guys from ACE install some mirrors in the game room to make it look like a mini ballet studio for my niece and she was ecstatic . Your guys’ customer service is great and I couldn’t be more thankful to you guys! 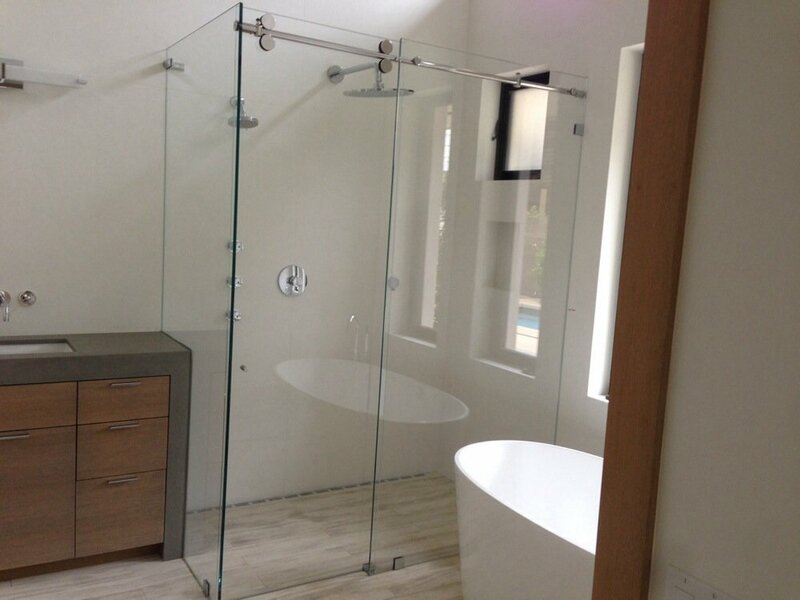 We are loving our frameless shower enclosure for our custom makeover. It is absolutely beautiful! We definitely made the right choice by going with Ace Mirror and Glass. I had phoned a couple other well known companies to the community prior to phoning Ace to get estimates and those companies put me off so long for estimates, I started looking online for other glass companies in the area. It was my lucky day when I found this business. I phoned Ace and they sent someone out the same day to take measurements. When I went to the store to look at the shower enclosures I was greeted by Ali – he has the best personality! He showed me their products and told me all about them. 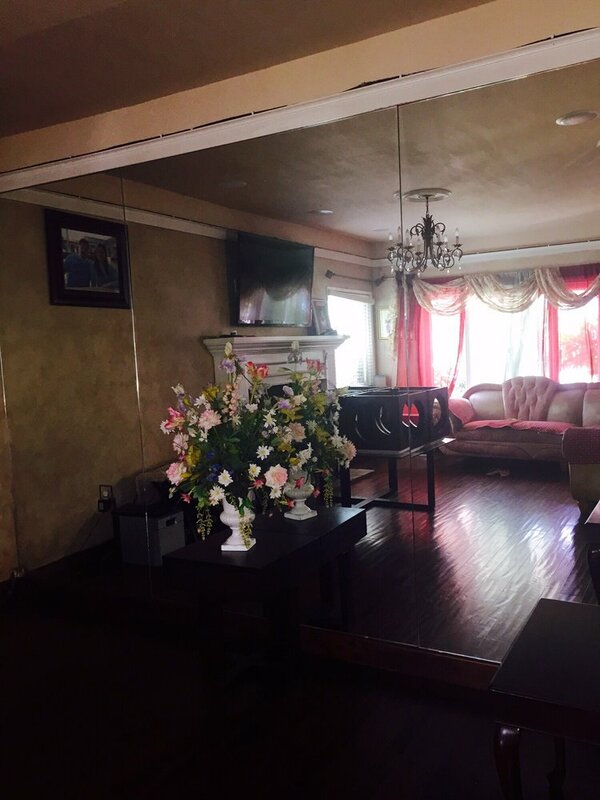 Although I had another appointment the following morning with (the well known company) in our community for another estimate, I decided right then and there that I wanted to do business with Ace Mirror and Glass. Ricky and Pancho were our installers and did an awesome job! We will be giving more business to Ace within the week as we have to order a tub/shower enclosure for another bathroom as well as glass doors for fireplace and a little bit of window replacement. THANK YOU GUYS FOR THE BEAUTIFUL FRAMELESS ENCLOSURE AND THE AWESOME JOB YOU DID. I had a crack window in my house last Feb.’15.ACE Mirror company gave me a reasonable estimate and installed double pan glass for replacement without any hitches.This company is very reliable and trustworthy to recommend anyone who need their service. Ali really took care me. The manager Ali really took care me. Ordered a full set of windows for my house and I had no idea what I was doing. His experience helped me choose the right ones for my house. I live in an old house and my bathroom was finally giving out on me. I hired a contractor to remodel my bathroom. Hopefully my kitchen will be next on the list! The contractor showed me different options for the shower door but I didn’t like the quality or the prices of the ones he was showing me. I decided to look around to see if I could get a good quality shower door for a reasonable price. I know, that sounds impossible especially these days, getting something of good quality and not paying an arm or leg for it. I almost gave up my search but then I came across ACE glass on yelp. I called them and spoke with Ali. He came out and gave me an estimate and it was cheaper than what my contractor was quoting me and all the other glass shops in the area! I placed the order and a week later, Carlos and another guy came out and installed the shower door. It looks great and fits perfectly with my new remodeled bathroom!! 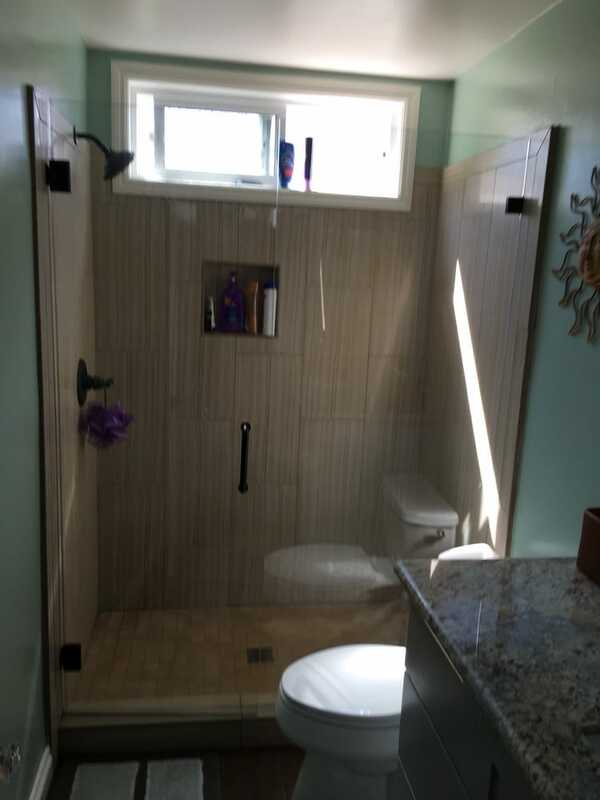 My contractor could not believe I got a really nice shower door for a reasonable price. Thank you Ace! Ali and his team did an amazing job on my bathroom shower. I wasn’t available for the measurements or initial install so my contractor was there for the process. Apparently when Ali came to install the glass he realized his employee had incorrectly measured one of the sides would not have been centered. Rather than just installing the glass Ali called my wife and sent her pictures to verify that she wanted it centered. He remade the glass and came back a week later to do the install and we are absolutely loving the shower! They have won my future business. Highly recommend this business. I had a large mirror that I needed cut down and had called a different place first, who just seemed bothered at the thought of such a small job. They wanted to charge $15 a cut plus another fee for their time. Are you kidding me! I happen to stop by Ace and they immediately took the mirror from my vehicle and cut it for me right away for only $5 a cut. They were very friendly and fast. They have won my future business for sure.